The Walking Dead is an American post-apocalyptic horror television series for AMC based on the comic book series by Robert Kirkman, Tony Moore, and Charlie Adlard. The series features a large ensemble cast as survivors of a zombie apocalypse, trying to stay alive under near-constant threat of attacks from the mindless zombies, colloquially known as "walkers". However, with the fall of humanity, these survivors also face conflict from other living survivors who have formed groups and communities with their own sets of laws and morals, often leading to hostile conflict between the human communities. Andrew Lincoln played the series' lead character, Rick Grimes, until his departure during the ninth season. Other long-standing cast members have included Norman Reedus, Melissa McBride, Lauren Cohan, Steven Yeun, Chandler Riggs, and Danai Gurira. The series is exclusively broadcast on AMC in the United States and internationally on Fox International Channels. The series premiered on October 31, 2010, and is presently airing its ninth season, which debuted on October 7, 2018. In February 2019, AMC renewed the series for a tenth season, which is expected to premiere in October 2019, and stated their intent to continue further development of the series and related media. A spinoff series Fear the Walking Dead first broadcast on August 23, 2015, and is renewed for a fifth season. AMC has announced plans for three films to follow Rick's story after Lincoln's departure. Beginning with its third season, The Walking Dead has attracted the most 18 to 49-year-old viewers of any cable or broadcast television series, though viewership has declined in latter seasons. The series has been well received by critics, although reception has become more mixed as the series has progressed. It has been nominated for several awards, including the Writers Guild of America Award for New Series and the Golden Globe Award for Best Television Series – Drama. Traveling from Atlanta, Rick's group takes shelter at Hershel Greene's farm while they search for Carol's missing daughter, Sophia. Tension between Rick's group and Hershel's family worsens after it is discovered that Hershel has kept friends and family turned into zombies, including Sophia, in his barn. Shane and Rick's friendship becomes increasingly unhinged when Lori reveals that she is pregnant, and Rick is forced to kill Shane in self-defense. Carl then shoots Shane in the head after he reanimates. The noise draws zombies, forcing Rick's group and Hershel's surviving family to evacuate the farm. Eight months after fleeing Hershel's farm, Rick's group finds a prison, which they clear of zombies to make their new home. Lori dies in childbirth, and Rick becomes withdrawn. Meanwhile, Andrea is rescued by Michonne and the two discover Woodbury, a fortified town led by a man known as the Governor. He learns of Rick's group at the prison, leading to conflict between them. Rick's group eventually raids and destroys Woodbury, but the Governor has Andrea ultimately killed and escapes. Woodbury's citizens live with Rick's group at the prison. Negan brutally murders Glenn and Abraham, and then demands that Rick cut off Carl's lower arm before relenting at the last possible moment. Negan demands that the Alexandrians become his slaves, and his actions lead Rick to submit. Later, Michonne persuades Rick to fight back, and they recruit a community called the Scavengers to help. Meanwhile, Rosita and Eugene make a bullet for the purpose of killing Negan. When their attempt fails (the bullet is blocked by Lucille, Negan's baseball bat), Negan forcibly recruits Eugene as a Savior. Separately, Carol and Morgan befriend King Ezekiel, the leader of another community, while Maggie and Sasha rally the Hilltop. Negan, the Saviors, and the turncoat Scavengers attack Alexandria, but are repelled by Sasha's sacrifice and the aid of Kingdom and Hilltop soldiers. Rick, Maggie, and Ezekiel rally their communities into war against Negan and the Saviors. Losses are heavy on both sides. Many of the Kingdom soldiers are killed, Alexandria falls to a Savior attack, and Carl is bitten by a walker. Before euthanizing himself, Carl convinces Rick to end the war and restart society anew. Negan attempts to wipe out Rick and his allies in a final battle, but Eugene disrupts his plan by sabotaging the Saviors' bullets. Negan is then wounded and captured by Rick. Against Maggie's wishes, Negan is spared and imprisoned, ending the war. In January 2018, the series was renewed for a 16-episode ninth season. The ninth season premiered on October 7, 2018. Series writer and executive producer Angela Kang took over the role of showrunner from Scott M. Gimple, who was promoted to chief content officer for The Walking Dead franchise. The season starts with a timeskip of eighteen months from the eighth season, which coincides with the comic's narrative after the "All Out War" arc. The ninth season is the final season on the series for actors Andrew Lincoln and Lauren Cohan. On January 20, 2010, AMC officially announced that it had ordered a pilot for a possible series adapted from The Walking Dead comic book series, with Frank Darabont and Gale Anne Hurd acting as executive producers and Darabont writing and directing. The entire series was pre-ordered based just on the strength of the source material, the television scripts, and Darabont's involvement. In January 2010 a review of the pilot episode's script attracted further attention. The pilot began filming in Atlanta, Georgia on May 15, 2010 after AMC had officially ordered a six episode first season. The series' remaining episodes began filming on June 2, 2010 with Darabont serving as showrunner. On August 31, 2010, Darabont reported that The Walking Dead had been picked up for a second season, with production to begin in February 2011. On November 8, 2010, AMC confirmed that there would be a second season consisting of 13 episodes. He would also like to include some of the "environmental elements" that take place during Volume 2 of Kirkman's book. The first season writing staff consisted of series developer and executive producer Frank Darabont (who wrote/co-wrote four of the six episodes), executive producer Charles H. Eglee, executive producer and creator of the comic book Robert Kirkman, co-executive producer Jack LoGiudice, consulting producer Adam Fierro and Glen Mazzara, all of whom contributed to one episode each. Along with Darabont, who directed the pilot episode, the remaining five were directed by Michelle MacLaren, Gwyneth Horder-Payton, Johan Renck, Ernest Dickerson and Guy Ferland. The television series generally tends to follow Kirkman's comic series across major characters and plots; for instance, events of the premiere episode of the seventh season correlate to events in issue #100 of the comics. The series does not attempt to go step-by-step with the comics, and has leeway in the narrative. 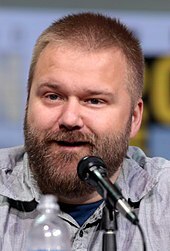 In particular, the series' writers, along with Kirkman, often "transfer" how a character has died in the comics to a different character in the series. For example, in the fourth season, where Hershel Greene is beheaded by The Governor in the standoff with Rick's group at the prison; in the comic, Tyreese is the one who receives this fate. Some of the television characters, like Carol, have far outlived their comic counterpart, while others that have already been killed off, like Sophia and Andrea, remained alive for some time in the ongoing comic series. In addition, the writers have included characters wholly novel to the series such as Daryl Dixon, which producer Gale Anne Hurd says helps to create a new dynamic for the series, and keeps the audience guessing from what had already been established in the comic series. For the first season, 88% of 25 Rotten Tomatoes critics gave it a positive review, with an average score of 7.53/10. That site's consensus states, "Blood-spattered, emotionally resonant, and white-knuckle intense, The Walking Dead puts an intelligent spin on the overcrowded zombie subgenre." Metacritic scored the first season 82/100 based on 25 critic reviews, 23 of which were positive, two mixed, and none negative. Heather Havrilesky of Salon.com included the series on their list of 9 new television series not to miss, giving it a grade of "A", with the author saying, "A film-quality drama series about zombies? Somebody pinch me!" For the second season, 81% of 23 critic reviews on Rotten Tomatoes were positive, with an average score of 8.09/10. The site's consensus states, "The second season of The Walking Dead fleshes out the characters while maintaining the grueling tension and gore that made the show a hit." Of 22 Metacritic critic reviews, 18 were positive, four were mixed, and none were negative; their average score was 80/100. Early criticism of the series focused on the slow pace of the second season, particularly the first half. Ken Tucker of Entertainment Weekly, described the series as "a nighttime soap", comparing it to "a parody of a Samuel Beckett play" that had very little sense of direction and few appearances of walkers. Nate Rawlings of Time's online entertainment section noted that "the pace during the first half of this season has been brutally slow. [...] They've tried to develop individual characters, but each subplot meant to add a layer to a character has been quickly resolved." Later reviews from other critics, such as Scott Wampler of Collider.com, recognized the increased quality of the second half, stating it "seemed far more intense, more interesting, better written". Recognizing the overall season, Kevin Yeoman of Screen Rant offered praise saying "the writers succeeded in unshackling themselves from the intermittent monotony brought about by the serial nature of the show". For the eighth season, 64% of Rotten Tomatoes' 13 critic reviews rated it positively, with an average score of 6.68/10. The site's consensus states "The Walking Dead's eighth season energizes its characters with some much-needed angst and action, though it's still occasionally choppy and lacking forward-moving plot progression." For the ninth season, 93% of Rotten Tomatoes' 12 critic reviews were positive, with an average score of 7.01/10. The site's consensus states, "Nine seasons in, The Walking Dead feels more alive than ever, with heightened tension and a refreshed pace that rejuvenates this long-running franchise." Metacritic scored the ninth season 72/100 based on 4 critic reviews, 3 of which were positive, one mixed, and none negative. At the end of the discovery phase in September 2016, Darabont's lawyers stated they are seeking damages of over $280 million; AMC stated they will "vigorously" defend against the lawsuit. Summary judgement statements were completed in July 2017. While waiting for summary judgement, Darabont and the CAA filed a second lawsuit against AMC, based on further evaluation of material from the discovery phase. The second suit contended that AMC purposely manipulated some of its licensing fees that should go to Darabont, such as revenue from digital sales and from overseas markets. Though AMC had initially refused to provide necessary documents for discovery for this new case, AMC did offer to willingly provide them after Darabont's attorneys threatened further legal action during October 2018. By December 2018, the presiding judge ruled against issuing summary judgement in the case, setting up for a jury trail to hear the full case. Due to the retirement of the judge that had overseen the previous cases, a new judge was assigned to the case in February 2019, who joined both the initial 2013 suit and the 2018 suit into a single case, expected to be heard in May 2020. ↑ Seibert, Perry. "The Walking Dead [TV Series]". AllMovie. Archived from the original on April 29, 2014. Retrieved March 4, 2014. ↑ Stelter, Brian (November 14, 2010). "At AMC, Two Character Dramas Just One Hit". The New York Times. Archived from the original on April 10, 2014. Retrieved December 28, 2013. 1 2 "The Walking Dead". Rotten Tomatoes. Archived from the original on August 22, 2015. Retrieved August 20, 2015. 1 2 "AMC Garners Six WGA Award Nominations for Acclaimed Original Dramas "Mad Men," "Breaking Bad" and "The Walking Dead"" (Press release). AMC. December 8, 2010. Retrieved December 9, 2010. 1 2 Reiher, Andrea (December 14, 2010). "2011 Golden Globes nominations: 'Glee,' '30 Rock' lead TV nominations". Zap2it. Archived from the original on December 17, 2010. Retrieved December 14, 2010. 1 2 "Shows A-Z - walking dead, the on amc". The Futon Critic. Retrieved January 28, 2019. ↑ "The Walking Dead – Season 1 Recap". AMC. Archived from the original on July 6, 2015. Retrieved July 8, 2015. ↑ Maurer, Mark (October 14, 2011). "'The Walking Dead': What you need to know about Season 1". The Star-Ledger. NJ.com. Archived from the original on July 9, 2015. Retrieved July 8, 2015. ↑ "The Walking Dead – Season 2 Recap". AMC. Archived from the original on July 10, 2015. Retrieved July 9, 2015. ↑ "The Walking Dead – Season 3 Recap". AMC. Archived from the original on July 10, 2015. Retrieved July 9, 2015. ↑ "The Walking Dead – Season 4 Recap". AMC. Archived from the original on July 10, 2015. Retrieved July 9, 2015. ↑ "The Walking Dead – Season 5 Recap". AMC. Archived from the original on July 10, 2015. Retrieved July 9, 2015. ↑ Goldberg, Lesley (July 20, 2018). "'Walking Dead' Season 9 Trailer Debuts at Comic-Con". The Hollywood Reporter. Retrieved July 20, 2018. ↑ Bradley, Laura (August 6, 2018). "The Walking Dead Season 9 Will Take a Gut-Wrenching Cue from the Comics". Vanity Fair. Retrieved August 6, 2018. ↑ Lussier, Germain (February 4, 2019). "The Walking Dead Shambles Into a Season 10 Renewal". io9. Retrieved February 4, 2019. ↑ Barett, Brian (February 8, 2019). "'Walking Dead' Shocker: Danai Gurira to Exit". The Hollywood Reporter. Retrieved February 8, 2019. ↑ Melrose, Kevin (June 10, 2014). "'The Walking Dead' producers hope to keep the show alive through Season 12". HitFix. Archived from the original on June 15, 2014. Retrieved June 13, 2014. ↑ Shaw, Lucas (September 19, 2018). "Inside AMC Networks' Plan to Make 'Walking Dead' Live Forever". Bloomberg. Retrieved October 8, 2018. 1 2 3 4 Goldberg, Lesley (July 7, 2016). "'Walking Dead' Promotes 4 to Series Regular for Season 7 (Exclusive)". The Hollywood Reporter. Archived from the original on July 8, 2016. Retrieved July 7, 2016. 1 2 3 Goldberg, Lesley (April 17, 2017). "'Walking Dead' Promotes Trio to Series Regular for Season 8". The Hollywood Reporter. Retrieved May 4, 2017. 1 2 Mason, Charlie (May 7, 2018). "The Walking Dead Promotes Two Actors to Series Regulars Ahead of Season 9". TVLine. Retrieved May 7, 2018. ↑ Alexander, Bryan (September 20, 2010). "Thomas Jane Yearns To Be One of 'The Walking Dead'". NBC Washington. Archived from the original on March 6, 2012. Retrieved December 13, 2010. ↑ Molloy, Tim (July 27, 2011). ""Walking Dead" Gets a New Showrunner". Reuters. Archived from the original on January 4, 2014. Retrieved November 23, 2012. ↑ Marnell, Blair (January 5, 2012). "Being Human' Star Slams AMC Over Aborted 'Walking Dead' Web Series". Crave Online. Archived from the original on January 10, 2012. Retrieved April 1, 2012. ↑ Melrose, Kevin (January 5, 2012). "Being Human Star Reveals Aborted Plans for Walking Dead Web Series". Spinoff Online. Archived from the original on July 23, 2012. Retrieved April 3, 2013. ↑ Melrose, Kevin (January 9, 2012). "Darabont Had a Different Opening for The Walking Dead Season 2". Spinoff Online. Archived from the original on May 16, 2012. Retrieved April 3, 2013. ↑ Otto, Jeff (July 6, 2010). "'The Walking Dead' Set Visit Preview: The Bloodiest Show Ever!". Bloody Disgusting. Archived from the original on July 9, 2010. Retrieved November 2, 2010. ↑ Goldman, Eric (January 20, 2010). "AMC Orders Walking Dead Pilot". TV IGN. Archived from the original on January 24, 2010. Retrieved June 11, 2010. ↑ Sauriol, Patrick (January 25, 2010). "Exclusive: A review of the pilot script for The Walking Dead TV series". Corona Coming Attractions. Archived from the original on July 8, 2011. ↑ Miska, Brad (February 10, 2010). "TV: 'The Walking Dead' Pilot to Begin Lensing in May". Bloody Disgusting. Archived from the original on October 19, 2011. Retrieved June 7, 2011. ↑ Seidman, Robert (March 29, 2010). ""The Walking Dead Lives on AMC;" Network Greenlights Series Based On Comic Books". TV by the Numbers. Archived from the original on October 19, 2012. Retrieved June 11, 2010. ↑ Chan, Jon (June 2, 2010). "Walking Dead TV Series Starts Filming!". Secondary Fire. Archived from the original on December 2, 2010. Retrieved June 11, 2010. ↑ Barton, Steve (June 14, 2010). "The Walking Dead: Frank Darabont Only Directing the Pilot?". Dread Central. Archived from the original on June 16, 2010. Retrieved June 15, 2010. ↑ "AMC Resurrects 'The Walking Dead' for a Second Season" (Press release). AMC. November 8, 2010. Retrieved November 8, 2010. ↑ Pirrello, Phil (August 31, 2010). "Want Walking Dead Season 2?". IGN. Archived from the original on September 2, 2010. Retrieved September 1, 2010. ↑ "EXCLUSIVE!! Learn Who Writes And Directs All The Season-One Episodes of Frank Darabont's AMC Zombie Series THE WALKING DEAD!!". Ain't It Cool News. July 17, 2010. Archived from the original on July 20, 2010. Retrieved July 18, 2010. ↑ Andreeva, Nellie (December 1, 2010). "'The Walking Dead' Lets Go Of Writers; Considers No Writing Staff For Season 2". Deadline Hollywood. Archived from the original on December 3, 2010. Retrieved December 3, 2010. 1 2 Bryant, Adam (December 2, 2010). "The Walking Dead's Robert Kirkman: Writing Staff Changes Won't Affect the Show". TV Guide. Archived from the original on December 3, 2010. Retrieved December 3, 2010. ↑ Collis, Clark (December 3, 2010). "'Walking Dead' exclusive: Exec producer Gale Anne Hurd denies Frank Darabont fired writers, talks season two". Entertainment Weekly. Archived from the original on December 5, 2010. Retrieved December 4, 2010. 1 2 Andreeva, Nellie (July 26, 2011). "'WALKING DEAD' SHOCKER: Frank Darabont Steps Down As Showrunner". Deadline Hollywood. Archived from the original on July 28, 2011. Retrieved July 27, 2011. ↑ Andreeva, Nellie (July 27, 2011). "Glen Mazzara to Succeed Frank Darabont as 'Walking Dead' Showrunner". Deadline Hollywood. Archived from the original on October 19, 2011. Retrieved July 27, 2011. ↑ Harnick, Chris (December 21, 2012). "'The Walking Dead' Season 4: AMC, Glen Mazzara Part Ways For New Season". The Huffington Post. Archived from the original on December 22, 2012. Retrieved December 21, 2012. ↑ Goldberg, Lesley (January 14, 2013). "Scott Gimple Tapped as New 'Walking Dead' Showrunner". The Hollywood Reporter. Archived from the original on January 16, 2013. Retrieved January 14, 2013. ↑ Goldberg, Lesley (March 12, 2013). "'Walking Dead' Adds Pair to Writers Room for Season 4". The Hollywood Reporter. Archived from the original on March 15, 2013. Retrieved March 14, 2013. ↑ Otterson, Joe (January 13, 2018). "'Walking Dead' Names Angela Kang Showrunner, Scott Gimple Elevated to Chief Content Officer". Variety. Retrieved January 13, 2018. 1 2 Ross, Dalton (October 28, 2016). "The Walking Dead: Robert Kirkman explains why Glenn had to die". Entertainment Weekly. Archived from the original on October 29, 2016. Retrieved October 28, 2016. 1 2 Wigler, Josh (October 23, 2016). "'Walking Dead': How Main Characters Die on the Show vs. the Comics". The Hollywood Reporter. Archived from the original on October 27, 2016. Retrieved October 28, 2016. ↑ Davis, Brandon (September 28, 2017). "Why 'The Walking Dead' Deviates From The Comics". Comicbook.com. Retrieved October 25, 2017. 1 2 Warner, Kara (November 4, 2010). "Inside Bear McCreary's 'The Walking Dead' Theme: Making Music Out Of 'Nothing'". MTV News. MTV. Archived from the original on February 12, 2012. Retrieved February 22, 2012. ↑ "The Walking Dead (AMC's Original Soundtrack – Vol. 1)". Amazon.com. Retrieved September 11, 2014. ↑ "The Walking Dead — AMC Original Soundtrack, Vol. 2". Amazon.com. Retrieved September 11, 2014. ↑ "The Walking Dead AMC Original Soundtrack – Volume 2 Now Available". AMC. August 27, 2013. Archived from the original on October 6, 2014. Retrieved September 11, 2014. ↑ Bibel, Sara (July 24, 2014). "'Songs of Survival Volume 2' Available With 'The Walking Dead' Season Four DVD Set". TV by the Numbers. Archived from the original on October 14, 2014. Retrieved September 11, 2014. ↑ Ayers, Mike (October 12, 2012). "What it takes to make a 'Walking Dead' zombie". CNN. Archived from the original on July 17, 2013. Retrieved July 13, 2013. ↑ Hunter, Marnie (March 2, 2015). "'Walking Dead' in Georgia: Film tourism comes to life". CNN. Archived from the original on September 24, 2015. Retrieved August 10, 2015. 1 2 Lynch, Jason (April 9, 2017). 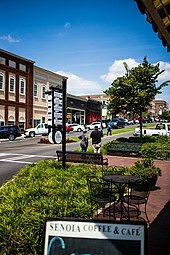 "Georgia's TV and Film Industry Now Brings in $7 Billion a Year, Fueled by Smart Incentives". Ad Week. Retrieved October 24, 2017. 1 2 Pane, Lisa Marie (October 22, 2017). "'The Walking Dead' reaches 100th episode milestone". The Washington Post. Retrieved October 23, 2017. 1 2 Wigler, Josh (October 23, 2017). "'Walking Dead' Turns 100: Taking a Stroll Through the Show's Apocalyptic Set". The Hollywood Reporter. Retrieved October 23, 2017. ↑ Ho, Rodney (August 4, 2017). "AMC buys 'The Walking Dead' studio for $8.25 million". The Atlanta Journal-Constitution. Retrieved October 24, 2017. ↑ "Exclusive: The Walking Dead Set Visit Preview: Oh Yes, There Will Be Blood!". Dread Central. July 5, 2010. Archived from the original on July 14, 2010. Retrieved November 2, 2010. 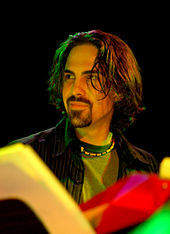 ↑ Todd Debreceni (2013). Special Makeup Effects for Stage and Screen: Making and Applying Prosthetics. Taylor & Francis. pp. 290–. ISBN 978-0-240-81696-8. Archived from the original on April 16, 2017. ↑ "The Walking Dead – About the Show". AMC. Archived from the original on April 10, 2011. Retrieved October 9, 2010. ↑ Hibberd, James (October 25, 2010). "'Walking Dead' plans global zombie invasion stunt". The Hollywood Reporter. Archived from the original on October 28, 2010. Retrieved November 4, 2010. ↑ Neuman, Clayton (July 20, 2010). "The Walking Dead Motion Comic Arrives Online". AMC. Archived from the original on July 23, 2010. Retrieved October 18, 2010. ↑ Neuman, Clayton (October 11, 2010). "The Making of The Walking Dead Documentary". AMC. Archived from the original on October 15, 2010. Retrieved October 18, 2010. ↑ Keck, William (June 15, 2011). "Keck's Exclusives: Walking Dead Ready for Action". TV Guide. Archived from the original on June 18, 2011. Retrieved June 15, 2011. 1 2 3 4 Hughes, Mark (January 25, 2013). "'The Walking Dead' Gets Green – Producer Gale Anne Hurd On How Zombies Are Saving The World". Forbes: 1 and 2. Archived from the original on January 27, 2013. Retrieved March 6, 2013. 1 2 Hughes, Mark (January 30, 2013). "Doddle Of The Dead — Putting The App In Zombie Apocalypse, Part 1". Forbes. Archived from the original on February 24, 2013. Retrieved March 6, 2013. ↑ Hughes, Mark (January 31, 2013). "Doddle Of The Dead — Putting The App In Zombie Apocalypse, Part 2". Forbes. Archived from the original on February 20, 2013. Retrieved March 6, 2013. ↑ "The Walking Dead Webisodes". AMC. Archived from the original on April 7, 2015. Retrieved April 9, 2015. ↑ "The Walking Dead: Red Machete". TV Guide. Retrieved January 31, 2018. ↑ "Motion Comic: The Walking Dead". AMC. Archived from the original on April 16, 2015. Retrieved April 16, 2015. ↑ Neuman, Clayton (September 22, 2011). "AMC Launches Talking Dead – A Live After-Show Following The Walking Dead". AMC. Archived from the original on September 24, 2011. Retrieved September 27, 2011. ↑ Bolomoro, Cameron (November 4, 2018). "Andrew Lincoln's Rick Grimes Is off 'The Walking Dead' for Good". Comicbook.com. Retrieved November 4, 2018. ↑ Enger, Jeremy (November 4, 2018). "'The Walking Dead' Says Goodbye to Andrew Lincoln. Sort Of". The New York Times. Retrieved November 5, 2018. ↑ Goldberg, Lesley (September 16, 2013). "'Walking Dead' Companion Series in the Works at AMC". The Hollywood Reporter. Archived from the original on September 18, 2013. Retrieved September 16, 2013. ↑ Ausiello, Michael (March 9, 2015). "AMC's Walking Dead Spinoff Snags Two-Season Order, Premiere Date". TVLine. Archived from the original on March 9, 2015. Retrieved March 9, 2015. ↑ Carle, Chris (March 27, 2015). "Walking Dead Spin-off Series Name Revealed". IGN. Archived from the original on March 28, 2015. Retrieved March 28, 2015. ↑ Slezak, Michael (July 10, 2015). "Fear the Walking Dead Trailer Is Finally Here! (And So's the Premiere Date!)". TVLine. Archived from the original on July 11, 2015. Retrieved July 10, 2015. ↑ Bradley, Laura (October 8, 2017). "The Walking Dead Will Cross Over with Fear the Walking Dead—But How?". Vanity Fair. Retrieved November 10, 2017. ↑ Fowler, Matt (November 26, 2017). "Walking Dead / Fear the Walking Dead Crossover". IGN. Retrieved November 26, 2017. ↑ Davis, Brandon (January 3, 2019). "'The Walking Dead' Star Joins 'Fear' for Another Crossover". Comicbook.com. Retrieved January 3, 2019. ↑ Lazar, Shira (February 15, 2013). "The Best Walking Dead Parodies on YouTube". The Huffington Post. Archived from the original on December 13, 2014. Retrieved July 7, 2014. ↑ Arthurs, Deborah (April 6, 2012). "Mad Men meets Walking Dead: Don Draper devours his secretary as ad agency is invaded by zombies in hilarious spoof". Daily Mail. Archived from the original on April 6, 2012. Retrieved July 7, 2014. ↑ Couch, Aaron (March 3, 2013). "'Saturday Night Live' spoofs 'The Walking Dead'". Today.com. Archived from the original on July 14, 2014. Retrieved July 7, 2014. ↑ Lederer, Donnie (September 28, 2016). "This WALKING DEAD Parody Reveals Negan's Victim… Right After This Coffee Break". Nerdist. Archived from the original on September 20, 2016. Retrieved September 20, 2016. ↑ Borns, Joanna (May 3, 2013). "'The Walking Dead' Gets 'Bad Lip Reading' Treatment (VIDEO)". The Huffington Post. Archived from the original on July 15, 2014. Retrieved July 7, 2014. ↑ "The Walking Dead breakfast (The Governor reacts to Bad Lip Reading)". YouTube. July 23, 2013. Archived from the original on April 24, 2014. Retrieved July 7, 2014. ↑ Taylor, Alice (August 16, 2013). "Walking Dead Edinburgh Review". ThreeWeeks. Archived from the original on December 20, 2016. Retrieved January 2, 2017. ↑ Miska, Brad (July 13, 2010). "SD Comic-Con 2010: The Walking Dead Promotional One-Sheet". Dread Central. Archived from the original on July 14, 2010. Retrieved July 13, 2010. ↑ "The Walking Dead Premieres Halloween; Comic-Con Trailer Now Online". AMC. August 24, 2010. Archived from the original on August 27, 2010. Retrieved August 24, 2010. ↑ "FOX International Channels (FIC) and AMC Announce a Global Launch for the Highly Anticipated TV Drama Series The Walking Dead". Fox International Channels. August 24, 2010. Archived from the original on May 18, 2015. Retrieved July 25, 2011. ↑ Ernesto (October 21, 2010). "The Walking Dead TV-Series Premieres On BitTorrent". TorrentFreak. Archived from the original on October 24, 2010. Retrieved October 22, 2010. ↑ Fernandez, Joe (June 14, 2010). "FX signs global broadcast rights to The Walking Dead". Marketing Week. Archived from the original on September 27, 2013. Retrieved December 19, 2011. ↑ "The Walking Dead Season 5 Premieres Worldwide Just 24 Hours After US Broadcast". Fox International Channels. July 26, 2014. Archived from the original on December 13, 2014. Retrieved December 6, 2014. ↑ "FOX International Channels Rolls Out First-Ever Global Brand Strategy on 126 FOX Channels with Return of Global Hit Series 'The Walking Dead'". Fox International Channels. January 21, 2015. Archived from the original on February 17, 2015. Retrieved February 17, 2015. ↑ "The Walking Dead Season 1 DVDs Now Available for Pre-Order". AMC. December 2, 2010. Archived from the original on December 6, 2010. Retrieved December 6, 2010. ↑ Lacy, Gord (July 21, 2011). "The Walking Dead – Press Release for Season 1 Special Edition". TVShowsOnDVD.com. Archived from the original on July 23, 2011. Retrieved July 21, 2011. ↑ "Walking Dead, The (Comparison: European Version (e.g. UK BD) – US Version)". Movie-Censorship.com. Archived from the original on September 10, 2012. Retrieved August 1, 2011. ↑ "Walking Dead, The (Comparison: European Version (e.g. UK BD) – US Version)". Movie-Censorship.com. Archived from the original on September 5, 2012. Retrieved August 22, 2011. ↑ "Walking Dead, The (Comparison: European Version (e.g. UK BD) – US Version)". Movie-Censorship.com. Archived from the original on January 29, 2013. Retrieved August 22, 2011. ↑ "Walking Dead, The (Comparison: European Version (e.g. UK BD) – US Version)". Movie-Censorship.com. Archived from the original on September 6, 2012. Retrieved August 1, 2011. ↑ "The Walking Dead – Die komplette erste Staffel (Special Uncut Version)" [The Walking Dead – The complete first season (Special Uncut version)] (in German). Archived from the original on October 26, 2013. ↑ Lacey, Gord (May 30, 2012). "The Walking Dead – '2nd Season' Press Release: Trailer, Final Details, Art for DVD, Blu-ray, Limited BD". TVShowsOnDVD.com. Archived from the original on April 5, 2014. Retrieved August 29, 2013. ↑ Miller III, Randy (August 25, 2013). "The Walking Dead: Season Three [Limited Edition Aquarium Tank] (Blu-ray)". DVD Talk. Archived from the original on August 29, 2013. Retrieved August 29, 2013. ↑ Lambert, David (June 24, 2014). "The Walking Dead – Anchor Bay's Official Press Release for 'The Complete 4th Season'". TVShowsOnDVD.com. Archived from the original on January 3, 2015. Retrieved January 3, 2015. ↑ Fitzpatrick, Kevin (March 31, 2015). "'The Walking Dead' Season 5 Sets August Blu-ray Release Date, Cover Art". ScreenCrush. Archived from the original on April 30, 2016. Retrieved May 1, 2015. ↑ "The Walking Dead: The Complete Sixth Season Blu-ray". Blu-ray.com. June 21, 2016. Retrieved June 23, 2018. ↑ "The Walking Dead: The Complete Seventh Season Blu-ray". Blu-ray.com. July 28, 2017. Retrieved June 23, 2018. ↑ "The Walking Dead: The Complete Eighth Season Blu-ray". Blu-ray.com. June 20, 2018. Retrieved June 23, 2018. ↑ Andreeva, Nellie (March 19, 2014). "MyNetworkTV Acquires Off-Network Rights To AMC's 'The Walking Dead'". Deadline Hollywood. Penske Business Media. Archived from the original on October 6, 2014. Retrieved October 2, 2014. ↑ Hibberd, James (March 19, 2014). "'The Walking Dead' family friendly edited version coming to broadcast". Entertainment Weekly. Archived from the original on October 4, 2014. Retrieved October 2, 2014. 1 2 "The Walking Dead: Season 1 (2010)". Rotten Tomatoes. Archived from the original on October 5, 2013. Retrieved October 4, 2013. 1 2 "The Walking Dead: Season 1". Metacritic. Archived from the original on November 27, 2015. Retrieved November 27, 2015. 1 2 "The Walking Dead: Season 2 (2011–2012)". Rotten Tomatoes. Archived from the original on October 5, 2013. Retrieved October 4, 2013. 1 2 "The Walking Dead: Season 2". Metacritic. Archived from the original on March 16, 2014. Retrieved November 27, 2015. 1 2 "The Walking Dead: Season 3 (2012–2013)". Rotten Tomatoes. Archived from the original on October 5, 2013. Retrieved October 4, 2013. 1 2 "The Walking Dead: Season 3". Metacritic. Archived from the original on December 27, 2012. Retrieved November 27, 2015. 1 2 "The Walking Dead: Season 4 (2013–2014)". Rotten Tomatoes. Archived from the original on August 21, 2014. Retrieved December 10, 2013. 1 2 "The Walking Dead: Season 4". Metacritic. Archived from the original on February 9, 2014. Retrieved November 27, 2015. 1 2 "The Walking Dead: Season 5 (2014–2015)". Rotten Tomatoes. Archived from the original on February 3, 2015. Retrieved January 22, 2015. 1 2 "The Walking Dead: Season 5". Metacritic. Archived from the original on November 10, 2015. Retrieved November 27, 2015. 1 2 "The Walking Dead: Season 6 (2015)". Rotten Tomatoes. Archived from the original on November 21, 2015. Retrieved December 6, 2015. 1 2 "The Walking Dead: Season 6". Metacritic. Archived from the original on November 21, 2015. Retrieved November 27, 2015. 1 2 "The Walking Dead: Season 7 (2016)". Rotten Tomatoes. Archived from the original on December 2, 2016. Retrieved December 1, 2016. 1 2 "The Walking Dead: Season 8 (2017)". Rotten Tomatoes. Retrieved March 1, 2018. 1 2 "The Walking Dead: Season 9". Metacritic. Retrieved October 1, 2018. ↑ Havrilesky, Heather. "Don't miss these 9 new TV shows". Salon. Archived from the original on October 20, 2011. Retrieved October 24, 2010. ↑ Tucker, Ken (November 28, 2011). "'The Walking Dead' and 'Pretty Much Dead Already': A cheap thrill-kill, or new life for the season?". Entertainment Weekly. Archived from the original on February 8, 2012. Retrieved February 9, 2012. ↑ Rawlings, Nate (November 28, 2011). "Walking Dead Recap: Pretty Much Dead Already". Time. Archived from the original on February 8, 2012. Retrieved February 12, 2012. ↑ Wampler, Scott (March 18, 2012). "'The Walking Dead' Season Finale Recap: "Beside the Dying Fire"". Collider.com. Archived from the original on October 11, 2012. Retrieved October 11, 2012. ↑ Yeoman, Kevin (March 19, 2012). "'The Walking Dead' Season 2 Finale Review". Screen Rant. Archived from the original on February 10, 2015. Retrieved February 10, 2015. ↑ Gay, Verne (October 11, 2012). "'The Walking Dead' season 3 doesn't disappoint". Newsday. Archived from the original on October 13, 2012. Retrieved October 11, 2012. ↑ "The Walking Dead Is First Cable Series to Beat Every Show of Fall Broadcast Season In Adult 18–49 Rating". AMC. December 2012. Archived from the original on February 23, 2016. Retrieved February 21, 2016. ↑ Kissell, Rick (February 17, 2016). "Ratings: 'The Walking Dead' Down, Still Huge in Return; Small Tune-In for HBO's 'Vinyl'". Variety. Archived from the original on February 21, 2016. Retrieved February 21, 2016. ↑ Bibel, Sara (March 30, 2015). "'The Walking Dead' Season 5 Finale is Highest Rated Finale in Series History, Garnering 15.8 Million Viewers". TV by the Numbers. Archived from the original on June 2, 2015. Retrieved June 4, 2015. 1 2 Bibel, Sara (October 13, 2014). "'The Walking Dead' Season 5 Premiere Hits Series High Ratings in Adults 18–49 & Viewers". TV by the Numbers. Archived from the original on April 19, 2015. Retrieved October 13, 2014. ↑ Seidman, Robert (November 2, 2010). "Sunday Cable Ratings: The Walking Dead Kills; Boardwalk Empire Steady; + Swamp People, Dexter, Ghost Hunters Live & Much More". TV by the Numbers. Archived from the original on November 19, 2010. Retrieved November 3, 2010. ↑ Gorman, Bill (December 7, 2010). "Sunday Cable Ratings: 'The Walking Dead,' 'Boardwalk Empire' Finales Rise; 'Sarah Palin's Alaska,' 'Dexter,' 'The Hasslehoffs' & More". TV by the Numbers. Archived from the original on December 11, 2010. Retrieved December 8, 2010. ↑ "2010 Year in Review/2011 Year in Preview: AMC". The Futon Critic. January 24, 2011. Retrieved March 25, 2012. ↑ Seidman, Robert (October 18, 2011). "Sunday Cable Ratings: 'The Walking Dead' Doubles NLCS + NJ Housewives, 'Boardwalk Empire,' 'Talking Dead,' 'Dexter' & Much More". TV by the Numbers. Archived from the original on October 20, 2011. Retrieved October 18, 2011. ↑ Bibel, Sara (March 20, 2012). "Sunday Cable Ratings: 'Walking Dead' Season Finale Laps the Field + 'Khloe & Lamar,' 'Frozen Planet,' 'Army Wives' & More". TV by the Numbers. Archived from the original on March 22, 2012. Retrieved March 20, 2012. ↑ Harnick, Chris (March 19, 2012). "'The Walking Dead' Ratings: Season 2 Finale Shatters Records". The Huffington Post. Archived from the original on July 27, 2012. Retrieved October 23, 2012. ↑ Bibel, Sara (October 16, 2012). "Sunday Cable Ratings:'The Walking Dead' Dominates Night, Space Jump, 'Dexter', 'Boardwalk Empire','Homeland,' 'Breaking Amish', & More". TV by the Numbers. Archived from the original on October 18, 2012. Retrieved October 16, 2012. ↑ Hibberd, James (April 1, 2013). "'Walking Dead' finale breaks series records". Entertainment Weekly. Archived from the original on April 3, 2013. Retrieved April 1, 2013. ↑ "The Walking Dead: Season Three Ratings". TV Series Finale. April 2, 2013. Retrieved July 26, 2017. ↑ Bibel, Sara (October 14, 2013). "'The Walking Dead' Season 4 Premiere is Highest Rated Episode Ever With 16.1 Million Viewers & 10.4 Million Adults 18–49". TV by the Numbers. Archived from the original on October 17, 2013. Retrieved October 14, 2013. ↑ Bibel, Sara (April 1, 2014). "Sunday Cable Ratings: 'The Walking Dead' Wins Night, 'Talking Dead', 'Real Housewives of Atlanta', 'Shameless', Naked and Afraid' & More". TV by the Numbers. Archived from the original on April 4, 2014. Retrieved April 1, 2014. ↑ "The Walking Dead: Season Four Ratings". TV Series Finale. April 1, 2014. Retrieved July 26, 2017. ↑ Bibel, Sara (March 31, 2015). "Sunday Cable Ratings: 'The Walking Dead' Tops Night, 'Talking Dead', 'Real Housewives of Atlanta', 'Going Clear', 'Killing Jesus' & More". TV by the Numbers. Archived from the original on April 1, 2015. Retrieved March 31, 2015. ↑ "The Walking Dead: Season Five Ratings". TV Series Finale. March 31, 2015. Retrieved July 26, 2017. ↑ Porter, Rick (October 13, 2015). "Sunday cable ratings: 'Walking Dead' premiere down but still utterly dominant". TV by the Numbers. Archived from the original on October 13, 2015. Retrieved October 13, 2015. ↑ "The Walking Dead: Season Six Ratings". TV Series Finale. April 5, 2016. Retrieved July 26, 2017. ↑ Porter, Rick (October 25, 2016). "Sunday cable ratings: 'The Walking Dead' premiere kills it with second-highest ratings ever". TV by the Numbers. Archived from the original on October 25, 2016. Retrieved October 25, 2016. ↑ Porter, Rick (April 4, 2017). "Sunday cable ratings: 'The Walking Dead' finale lowest since Season 2". TV by the Numbers. Archived from the original on April 4, 2017. Retrieved April 4, 2017. ↑ "The Walking Dead: Season Seven Ratings". TV Series Finale. April 4, 2017. Retrieved July 26, 2017. ↑ Porter, Rick (October 24, 2017). "Sunday cable ratings: 'The Walking Dead' has lowest-rated premiere since Season 2". TV by the Numbers. Retrieved October 24, 2017. ↑ Porter, Rick (April 17, 2018). "Sunday cable ratings: 'Fear the Walking Dead' opens higher". TV by the Numbers. Retrieved April 17, 2018. ↑ "The Walking Dead: Season Eight Ratings". TV Series Finale. April 17, 2018. Retrieved April 17, 2018. ↑ Welch, Alex (October 9, 2018). "Sunday cable ratings: 'Doctor Who' returns up, 'The Walking Dead' falls to premiere low". TV by the Numbers. Retrieved October 9, 2018. ↑ "AFI Awards". AFI.com. Archived from the original on August 17, 2016. Retrieved December 13, 2010. ↑ "'Inception,' 'Walking Dead' Top Saturn Awards Nominations". The Hollywood Reporter. February 24, 2011. Archived from the original on June 29, 2011. Retrieved February 24, 2011. ↑ Ausiello, Michael (June 6, 2011). "Mad Men, Fringe, Good Wife, Modern Family, Community, Justified Lead Critics Choice Kudos". TVLine. Archived from the original on June 8, 2011. Retrieved June 8, 2011. ↑ "Emmy Nominations 2011: Full List". The Hollywood Reporter. July 14, 2011. Archived from the original on November 2, 2012. Retrieved July 14, 2011. ↑ "2011 Primetime Creative Arts Emmy Awards Winners". Academy of Television Arts & Sciences. September 10, 2011. Retrieved September 19, 2011. ↑ Tapley, Kristopher (March 3, 2015). "'Captain America,' 'The Walking Dead' lead 2015 Saturn Awards nominations". HitFix. Archived from the original on March 7, 2015. Retrieved March 4, 2015. 1 2 3 4 Masters, Kim; Belloni, Matthew (December 17, 2013). "Fired 'Walking Dead' Creator Frank Darabont Sues AMC for Profits". The Hollywood Reporter. Archived from the original on November 16, 2016. Retrieved September 27, 2016. ↑ Masters, Kim (August 10, 2011). "'The Walking Dead': What Really Happened to Fired Showrunner Frank Darabont". The Hollywood Reporter. Archived from the original on August 13, 2011. Retrieved August 10, 2011. ↑ Gardner, Eriq (May 19, 2014). "AMC Resists Frank Darabont's Inquiry Into 'Fair Market Value' of 'The Walking Dead'". The Hollywood Reporter. Archived from the original on October 12, 2016. Retrieved September 27, 2016. ↑ Gardner, Eriq (June 19, 2014). "AMC Must Hand Over 'Mad Men,' 'Breaking Bad' Deals to Frank Darabont's Attorneys". The Hollywood Reporter. Archived from the original on October 12, 2016. Retrieved October 3, 2016. ↑ Gardner, Eriq (January 6, 2016). "'Walking Dead' Creator Frank Darabont's Deposition Unsealed: "We Had Crisis-Level Problems"". The Hollywood Reporter. Archived from the original on September 16, 2016. Retrieved September 27, 2016. ↑ Gardner, Eriq (August 4, 2015). "Frank Darabont Says AMC Reduced His Profit Share After 'Walking Dead' Lawsuit". The Hollywood Reporter. Archived from the original on October 12, 2016. Retrieved September 27, 2016. ↑ Gardner, Eriq (February 9, 2016). "Frank Darabont Given Green Light to Pursue Larger Cut of 'Walking Dead' Profits". The Hollywood Reporter. Archived from the original on October 7, 2016. Retrieved September 27, 2016. ↑ Gardner, Eriq (September 27, 2016). "Frank Darabont to Seek More Than $280 Million From AMC at 'Walking Dead' Profits Trial". The Hollywood Reporter. Archived from the original on September 28, 2016. Retrieved September 27, 2016. ↑ Gardner, Eriq (July 13, 2017). "'Walking Dead' Lawsuit Spills Obscene Emails and Tales of Greed Over TV's Billion-Dollar Hit". The Hollywood Reporter. Retrieved August 15, 2017. ↑ Gardner, Eriq (January 18, 2018). "Frank Darabont, CAA Launch Second 'Walking Dead' Lawsuit Against AMC". The Hollywood Reporter. Retrieved March 19, 2018. ↑ Patton, Dominic (October 26, 2018). "'Walking Dead' Suit "Minor" Profit Reports Tug Of War Ends; AMC Lets Go Of Rope". Deadline Hollywood. Retrieved October 26, 2018. ↑ Patton, Dominic (December 10, 2018). "'Walking Dead' $300M Lawsuit Looks Trial Bound; AMC's Move To Dismiss Denied Yet Cabler Claims "Victory"". Deadline Hollywood. Retrieved December 10, 2018. ↑ Patton, Dominic (February 5, 2019). "'Walking Dead' $300M Lawsuit Finally Gets A Trial Date & A New Judge". Deadline Hollywood. Retrieved February 5, 2019. ↑ Gardner, Eriq (August 14, 2017). "'Walking Dead' Producers Claim Massive AMC Profits Scam in New Lawsuit". The Hollywood Reporter. Retrieved August 15, 2017. ↑ Patten, Dominic (October 23, 2017). "'Walking Dead' EPs Get Big-Bucks Profits Suit Against AMC Set In California". Deadline Hollywood. Retrieved October 24, 2017. ↑ Patten, Dominic (August 17, 2017). "'The Walking Dead' EPs Promise To Be "Partners" With AMC As They Sue Cabler In NY Over Profits – Update". Deadline Hollywood. Retrieved October 24, 2017.